This post is sponsored by Philips who sent me a Grain Master to try. I have struggled all my culinary life with cooking some of the things that people would say are the easiest to cook. Sushi rice, basmati rice, quinoa…lentils. I fail every time. 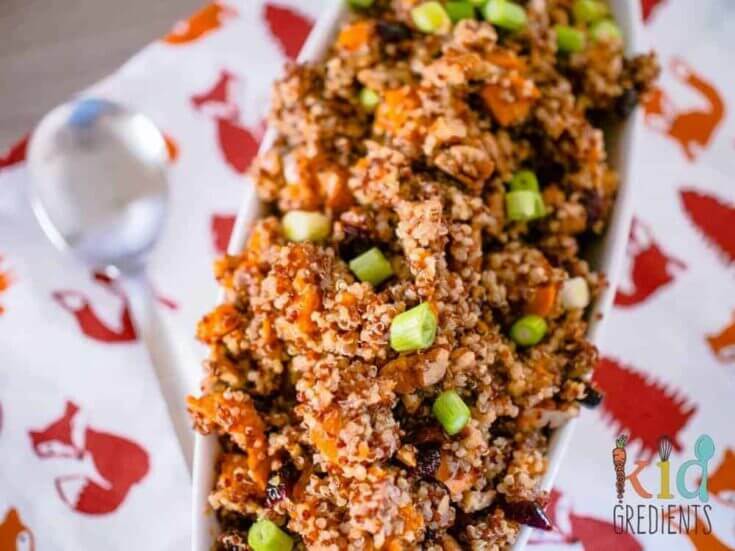 There is an art to cooking perfect grains, one that I’ve finally mastered with this sweet potato and quinoa salad. Honestly, I could quite literally count the number of times I’ve not I’ve burnt the rice when cooking it on the stove. And quinoa? Well, I have burnt that too. And that smells pretty bad. But all of this has changed. I have produced a salad (yep salad) with the cooked quinoa and cooked the sweet potato in the same pot at the same time! So what makes this rice cooker different? Well, it’s for far more than just rice. It does lentils, rice, quinoa, porridge and has a quick cook button that I’ve only just scraped the edges on. Honestly, if it could also wash itself up, it would be the most awesome kitchen gadget ever. We love the keep warm setting for when Mr Kidgredients is a little later home than anticipated and the reheat has has a workout for sushi rice too. I love that the lid seals tight, so there’s no steam rushing out the sides or lids to try to line up like other rice cookers. It also means that when you are using the Grain Master there’s really good strong heat inside, meaning your rice gets cooked perfectly every time. It’s easy to wash, with a rinse in warm soapy water. It comes with a cup for measuring the rice and a rice paddles which is great for getting the rice from the cooker without scratching the nonstick base. 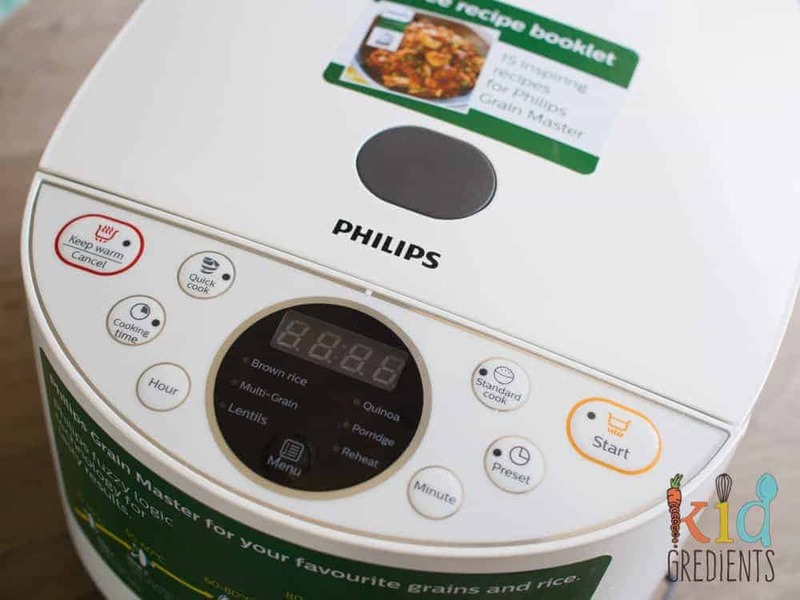 The recipe book is awesome for people who are new to appliances like this rice cooker as it really showcases the capabilities and different ideas you can use the Grain Master for. 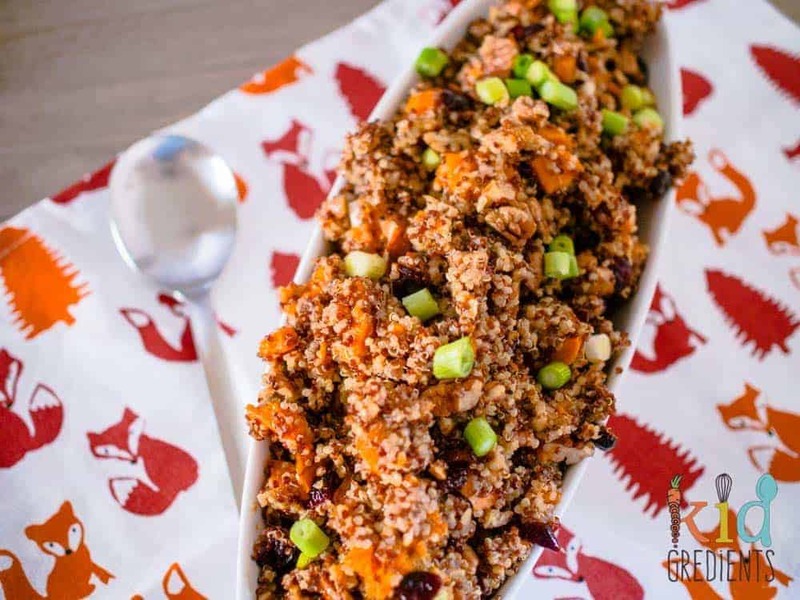 You have to try this salad, you could probably do it in another rice cooker, you could probably do it on the stove, either way, it’s pretty delish! 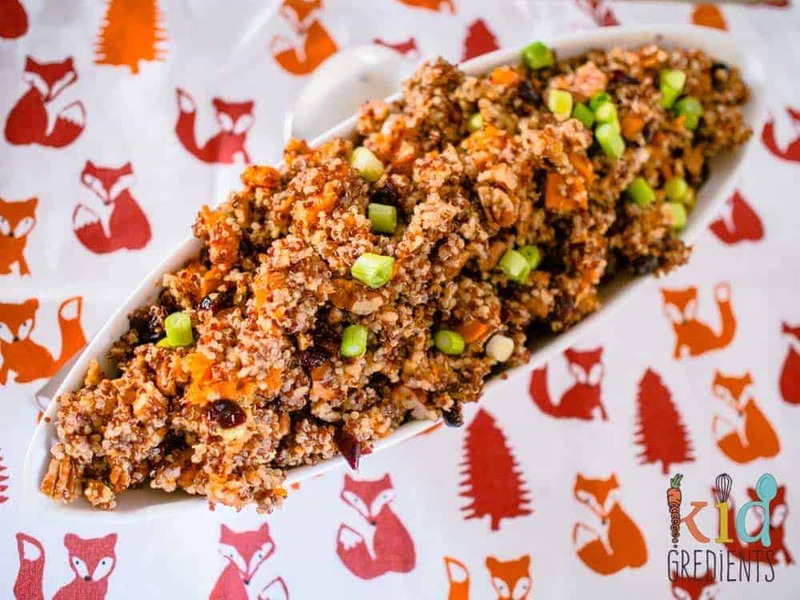 The flavours of the maple syrup and cinnamon work really well with the sweet potato and help to cut through the nuttiness of the quinoa. If there is anyone with a nut allergy, switch the pecans out for sunflower seeds because the crunch is really important to the texture. 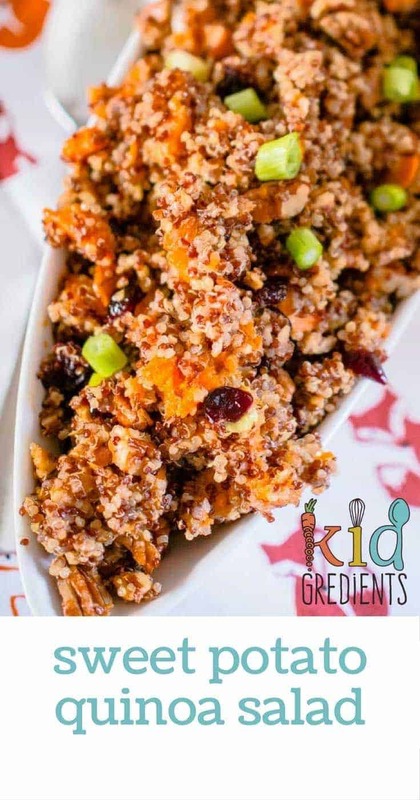 Yummy sweet potato and quinoa salad with a sweet and tangy cinnamon maple syrup dressing. Preheat oven to 180 degrees. Put the pecans on a tray and bake at 180 degrees for 10 minutes. Remove from the oven and chop roughly. 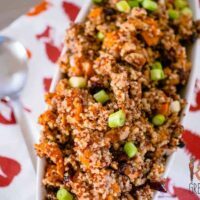 Put the chopped sweet potato and the quinoa into the Grain Master , cover with water up to the 3 cups mark and select quinoa from the menu. After 20 minutes, open the lid and pour in the cranberries, spring onions and pecans. Combine the olive oil, apple cider vinegar, cinnamon and maple syrup in a jug. Whisk well to combine. When the quinoa finishes cooking, stir through the dressing. Serve warm, or chill to serve cold. To keep this salad in the fridge, store in an airtight container.